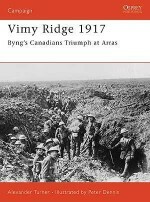 In 1917 the soldiers of the Canadian Corps would prove themselves the equal of any fighting on the Western Front, while on the other side of the wire, the men of the Royal Bavarian Army won a distinguished reputation in combat. Employing the latest weapons and pioneering tactics, these two forces would clash in three notable encounters: the Canadian storming of Vimy Ridge, the back-and-forth engagement at Fresnoy and at the sodden, bloody battle of Passchendaele. Featuring carefully chosen archive photographs and specially commissioned artwork, this study assesses these three hard-fought battles in 1917 on the Western Front, and offers a new take on the evolving nature of infantry combat in World War I.
Dr Stephen Bull is Curator of Military History and Archaeology for Lancashire Museums, with particular responsibility for local regimental collections, and is a consultant for the University of Oxford on World War I projects. He has previously worked at the National Army Museum and the BBC in London.Adam Hook studied graphic design, and began his work as an illustrator in 1983. He specializes in detailed historical reconstructions, and has illustrated Osprey titles on subjects as diverse as the Aztecs, the Ancient Greeks, Roman battle tactics, several 19th-century American subjects, the modern Chinese Army, and a number of books in the Fortress series.